Inquiries and bookings between 26-29 will experience delays but will still be entertained. We have some assistants willing to work during the holiday season. If you have requirement on closed days, we can still provide but please book ahead. 1. Fresnel Attachment for HPL200 LED Lights – this allows the HPL to have a spot light effect. Attachment allows easy switching from spot to wide and vice versa. 2. Grandbox / Aputure Light Dome / Parabolic Softbox 90cm – 16 leg, deep softbox. 3. Large Diffuser / Butterfly / Silk Diffuser 60″ x 78″ – this is a huge light diffuser. This will need 2-3 light stands, 2-3 super clamps and sand bag to stabilize if positioned horizontally or at an angle. 4. 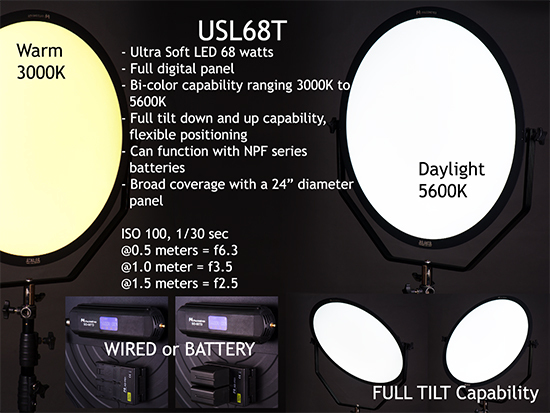 LED Ring Light 50cm Diameter – ideal for beauty shots. Our Sennheiser Lavalier has been around for quite sometime and we have decided to provide more value with it by including Wireless Mic Belts (WMB). We have choices of 28″ or 32″, black or tan colour. Just inform us which size and colour you prefer. We are always improving the way we do things so from the usual: “Yes sir, this is confirmed.” or “Yes sir, we booked your items already.” We are now replying to your confirmed bookings with a Booking Confirmation Ticket. The Booking Confirmation Ticket ensures that your booking is placed on calendar and that it will be prepared by our dispatch personnel. More importantly, the details that you need are listed in it – pick up and return address, assistant’s details, confirmation of list of equipment, etc. So kindly read and check the Booking Confirmation Ticket because this is the common basis of both the renter and the provider. We will always strive to be efficient and reliable with the way we work so we are still improving and evolving. For all inquiries, bookings, transactions, kindly contact Hanson at 0917.895.6228 (SMS or Viber). The number 0926.723.1343 will be terminated soon as Joyce has recently resigned.